This is an example of a tree-feeding group of aphids that is charismatic, easy to collect, and fairly well-studied. Much of the detailed work on this group we owe to F.W. Quednau, who I was not lucky enough to meet in person, but with whom I corresponded for several years. Most Myzocallis species feed on Fagaceae, especially Quercus (oaks). One species was described from Asclepias (milkweeds), but this host association is unexpected and apparently controversial. I have collected Myzocallis on Asclepias twice in eastern Canada, and my impression was definitely of a legitimate reproductive host, i.e. 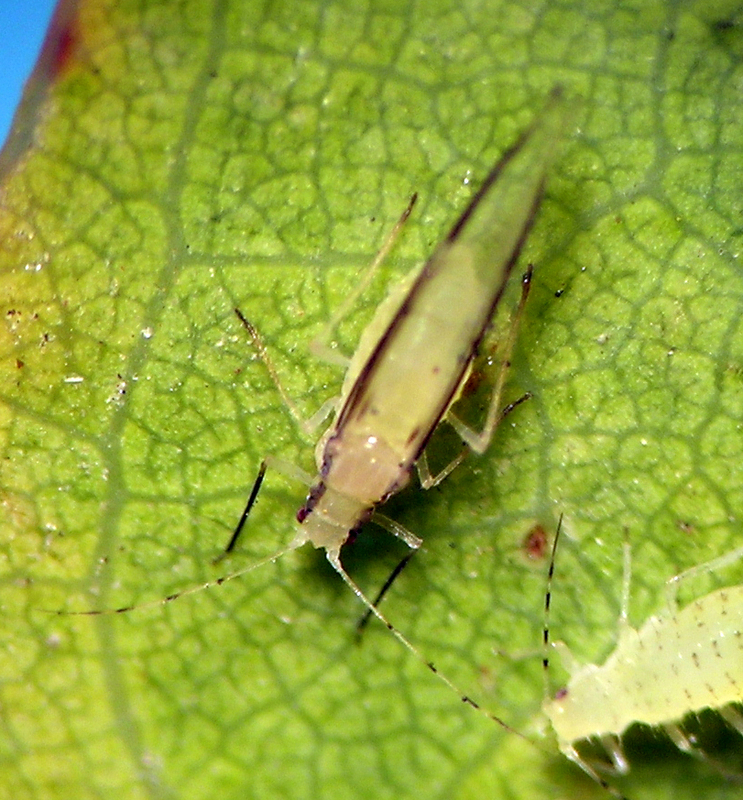 the aphids had not simply fallen from a Quercus to incidentally complete development on Asclepias. But, it could be that I was wrong. This is an aphid among the few that were first in my collection back in the 1980s. Red oaks are commonly grown as ornamental shade trees in western Oregon, and on those trees almost invariably can be found M. walshii. Myzocallis walshii from Prosser, Washington.